The city is in dire need of a new airport or terminal. It is a so old and shows its age at every angle. I was fortunate enough to fly during off season did not need to deal with the crowds but even then check-in opened up less than an hour before the flight. 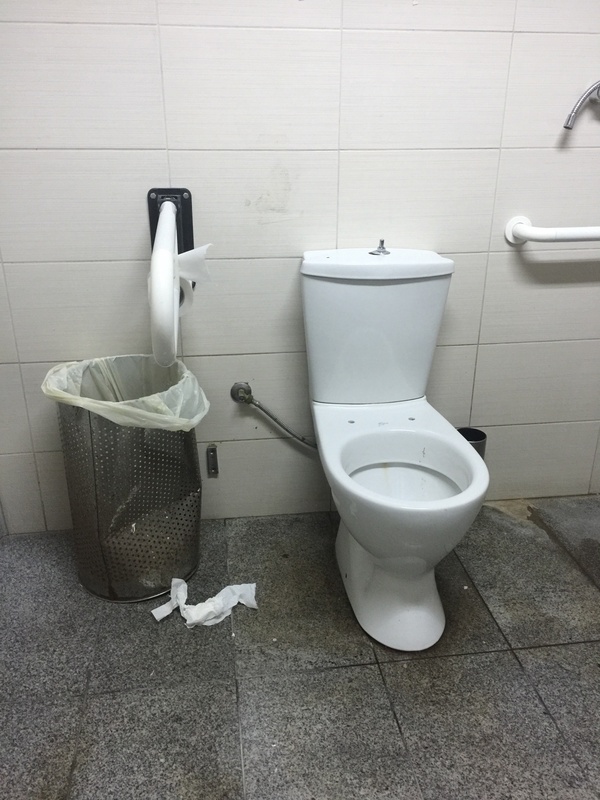 Toilets are dirty smelly with a claustrophobic feeling to the airport. Heraklion Airport is appalling. Thank goodness we did not have hold luggage (we live out there) and that we checked in online as the queues were horrible! But despite some other reviews on here the toilets look new and clean. On arrival from Bristol we herded off the plane onto some awful cramped bus and driven at twice the speed of sound to the terminal which wasn't very comfortable as we had to stand up. On return to Heraklion (to fly to Bristol) it was worse. Our easyJet flight was called early but we did not know about this I just happened to go and look at the departure screen where it said in very small letters gate 6 (or something like that) but it didn't say boarding. We queued up at the back with another lady who same as us had paid for speedy boarding. One lady seemed to shout in Greek that speedy boarder's should come and stand by her at the front. She then tore up my boarding pass (no efficient cutter or anything) and then we were told to go and stand outside on the steps. 10 minutes later a bus came for the Gatwick passengers (whose flight was leaving 30 mins after ours!) and then finally 25 minutes later a bus came for us. Awful service at Heraklion! When we got onto the brand new easyJet plane to take us home (very pleased) we sat right at the front so very good legroom. Looking forward to flying into Chania with Monarch from Birmingham next year as Chania is the much better airport! We had no problems with arrival flight from Manchester but departure was awful. There was insufficient seating food queues were long with little selection and only 4 female toilets for whole terminal open and they were dirty with no soap hand driers/towels. If this is what it's like in September I would hate to experience it in high season. Upon arrival on an overnight flight from LHR the Immigration desks were un-manned. The airport police had to go and find the official. In the early hours of the morning it was all fairly painless as ours was the only flight arriving. On our return (afternoon) it looked a bit of mess. Very busy. Check-in with Aegean was quick and efficient. As they don't have lounge facilities at the airport I had booked the Goldair handling lounge. This is located before passport control and security its location means its a bit of lottery as to when you leave to go through security Our boarding card had stickers for the Fast track lane - but there was no such line just the same scrum as everyone else. The lounge was pretty basic but offered a bit of calm in all the chaos. The toilets a walk away were disgusting. Airside the facilities were not that much better. This terminal is well past its sell by date and it shows it. I was checking in for the Stockholm flight with Scandinavian Airlines. The airport was packed with too many flights at the same time. Check-in was ok but at Heraklion you have to take your already checked in luggage to a screening point. It was chaotic with 2 people trying to keep order and 4 full planes dropping their luggage. 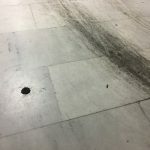 Have been travelling through HER airport last 5 yrs (twice yearly) present day experience is unrecognizable from the eighties with major improvements to space refreshments cleanliness and aircon. Only a couple of years ago I was able to carry a large wrapped package in the hold though more recently excess weight has been charged for. It is all a bit 'Greek' at Heraklion but well would one expect anything else yes as another review has remarked. The departure lounge does leave a little to be desired still but even there gone are the lines of furtive secret smokers on the upper landing on route to the duty free area now there are also notices abound proclaiming that sleeping on the hall floor is now prohibited. The mens loo door in the arrivals/baggage reclaim hall still hangs stubbornly open revealing its occupants in various states of undress. Long flight delays and gate changes seems to go on plaguing HER along with the seeming lack of wi-fi even though it is flagged. 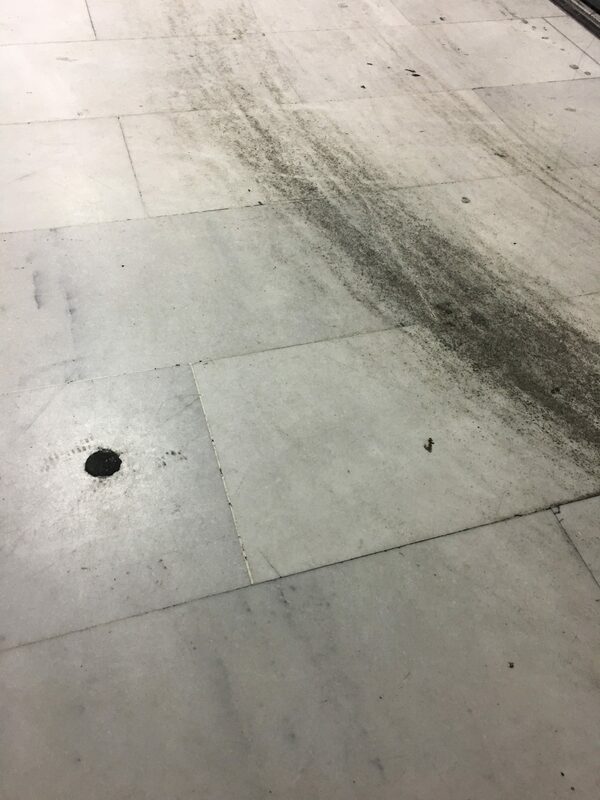 Heraklion Airport is definitely showing its age and a bit dirty. The ground staff is pretty slow. We had to wait for nearly one hour to get our bags! We returned on October 5th and once again the airport seemed to be pretty chaotic. At check-in counters your bags are weighed and labelled but you have to carry your luggage to a bag drop-off counter yourself which was quite confusing. Security controls quick and professional - no complaints about that. But the departure area is very small and narrow for an airport of this importance. All in all I am not very impressed with this airport. They get their job done but its quite chaotic. We arrived in time at Heraklion airport to fly back to Norwich. First of all the check-in desks were late opening and we had to queue for 30 mins. After checking-in we had to take our cases for scanning and then queue for Passport Control. We queued at Passport Control for 45 minutes and hardly moved. There were about 50 people waiting at this time. We were aware that one security person was letting a few people through at a time - we were also aware that people were getting through quicker by pushing in from the left and centre and were allowed through the authorities thus ignoring the proper queue. It was so hot and people in the proper queue were getting frustrated at being ignored. The officers on the "other side" of the barrier thought it was a huge joke and didn't hide their amusement at our frustrations. 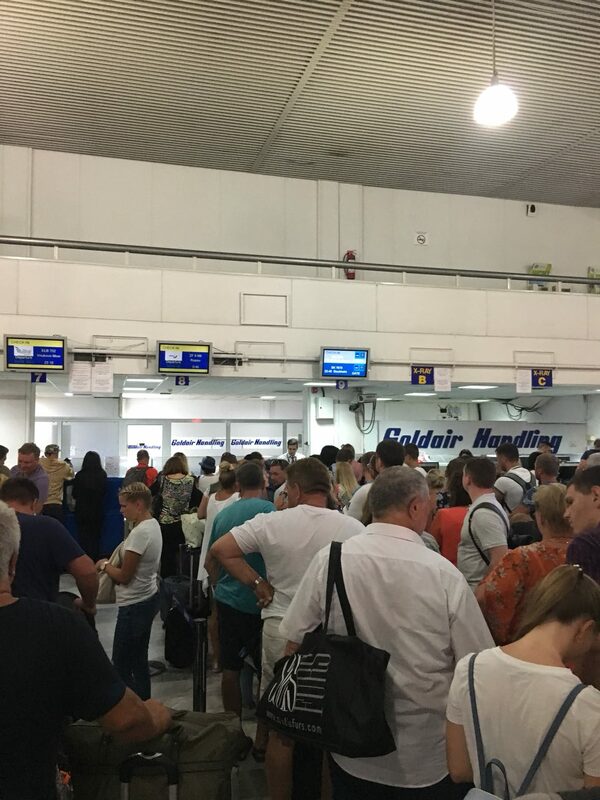 We queued for over an hour and a half before a Thomas Cook rep took control of the situation and when we finally got through we looked back across the concourse and there must have been well in excess of 400 people waiting to get through Passport Control for various flights. The annoying thing was that being EU Nationals the security officer didn't even want to look at our passports as we were English! We have never experienced such disorganisation at an airport before - never again! Heraklion airport has been a busy international airport for over 25 years and apart from increasing in size it has not been updated at all. It is expensive the hire car parks are almost impossible to find unless you have been given strict instruction and dangerously situated across a busy road. 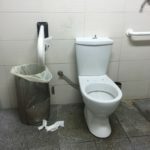 The rest rooms have not been updated in over 25 years when I was a rep for a UK holiday company making the job of the hygiene staff difficult and often quite impossible. It is very disappointing when one realises how many people pass through its doors annually leaving large amounts of money not to even install new toilets that flush!! Is that too much to ask in the 21st century? However I have to give credit to the check in staff even under huge pressure and a sea of people they are quite efficient. As a hotelier on the island I hear comments about the two airports and neither are flattering. Food for thought for the powers to be maybe? Heraklion is the worst airport I have been to! Arrival was ok luggage belts a mess but finally we got our things. Departure was the horror! Besides the temperature the airport was packed with people with literally not a centimeter space between each other and their luggage to walk trough. To get from one counter to the other we had to leave the airport building at one exit to enter it at another! There were no proper signs nobody to ask! Finally other passengers told us where the x-ray for the luggage is. That's a scandal I am sorry! A passenger has really to queue 4 times minimum until reaching the plane. 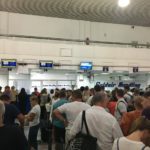 First you queue at the check in (if you are lucky: in the building) then you queue at the x-ray (so you finally have found it and could get rid of your bags) then you queue at the passport control and then you queue at the security check. Then you reach a completely overcrowded waiting area with one duty free (where we bought some wine and oil and the cashier graciously handed us a plastic bag - not even thinking about making any extra effort to put the goods into the bag - I had to do it on my own - that's real service congratulations). We found two really friendly people helping us the rest was either arrogant bored annoyed or overstrained. This airport is a service desert! Crete was nice but our holiday mood was gone that moment entering this airport. Improving this fully underdimensioned airport would cost a fortune - true but I don't see any will for change at all reading the comments dating back to 2004. There is not enough space for everything but clear and correct signs are not expensive. More and competent personnel should also be no miracle to find as so many are working in the tourism industry.